As a writer on food, culture, travel and social good, I am always interested in new opportunities to write for innovative content providers. Unearthing great stories and delivering them with gusto is, what I believe to be, the key to sparking conversations that make our world better. I believe in the power of words to inspire audiences. I create written and photographic content for newsletters, publications, websites and agencies in NYC and beyond. Whisky drinking is no longer just for the boys. Upon entering Whisky Live, a multi-city expo of the finest distilleries from Scotland and Kentucky, I marveled at the sprinkling of women, from quite young to very mature, making their way through the mostly male crowd. 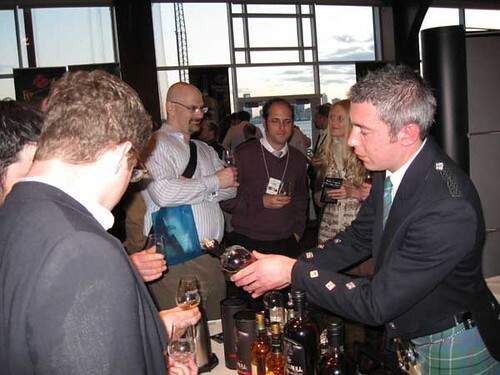 The Chelsea Piers venue held an assortment of sampling booths, each staffed with knowledgeable representatives designed to make us all more confident in the business of drinking whisky. I also learned that whisky knowledge had far ranging implications in the business world. We sampled the fiery moonshine of Maker’s Mark (130 proof), colorless, as it had not been put in oak. Brand rep Amanda Ingram taught us to part our lips when inhaling the spirit. “You get less alcohol and more flavor,” she explained. Lauren Ward of Yamazaki, the oldest Japanese distillery and one who’s samples were uniquely devoid of that smoky or peaty flavor, gave a reason for whisky’s growing significance for women. “People you meet might be whisky connoisseurs. It may be their passion and when you expand your knowledge, you impress them,” she said. After learning about the sherry casks that gave Black Bull blended scotch whisky its pretty color, I went in search of single malts. As I sampled the 100 proof single barrel and barrel strength from Four Roses, National Sales Manager Patty Holland offered her opinion on women and whisky. “More and more women are drinking whisky than ever before, but women need to know more. A man can bluff way more about [whisky] but women are judged on a different standard,” she explained. People at the show had their favorites-the light and thin for some, the peatiest for others, and some debated young versus aged. Mostly, people enjoyed learning from the distillers and said they would carry the stories they heard from them to their future whisky conversations-it would be a sort of knowledge they could leverage in the future. Anna is already an old pro at this. Upon receipt of a gift of whisky she had sent to a client, he called to thank her. Noticing his enthusiasm, she offered to put him in touch with the distiller directly, which by the client’s reaction was one of the greatest gifts he had ever received from a business associate. Martin Edlund, CEO of Malaria No MoreEli Pariser and Peter Koechley, the founders of the viral good news website Upworthy, were also honored, as was the CEO of Malaria No More, Martin Edlund, and Ami Dar, the founder of nonprofit opportunities website, Idealist.org. Dar regaled the audience with details for an upcoming initiative to link people across the globe for social good. He also made an impassioned plea encouraging people around the world to connect with their neighbors as a way to find partners to do good. He then shared the story of how he and another civic-minded entrepreneur, the founder of Meetup.com, found out that they lived in the same building only after attending a networking event. The landmark Hell’s Kitchen bakery, Cupcake Cafe, provided an assortment of floral decorated buttercream cupcakes which dotted the entryway of the evening affair. Leslie Goldman, V.P. for Program and Community Engagement at U.S. Fund for UNICEF, remarked how beautiful the arrangement was while fielding questions from young professionals including Selena S. Martin, Senior Manager at American Express, on partnerships and organizational engagements. The evening brought cause- minded attendees up close and personal with leaders at the forefront of international social change. Funds were raised through the support of organizations including Skadden, Arps, Slate, Meagher & Flom LLP, Indulge New York, Mizu Sochu, Latham & Watkins, White & Case LLP, Kim Laudati Skincare, The Kati Roll Company, Lacoste, Cravath, Swaine & Moore, LLP, Manhattan Plaza Health Club, and others who contributed to a truly inspirational night celebrating leadership and social responsibility. Grilled Lamb, Tilapia and other traditional favorites are a good bet. These are accompanied with salad and if you like some good old pomme frites. Did I mention the portions are inordinately non-standard for New York, in a good way? West African places are known for their soups and grilled meats and fishes and yes, they’ve got them too, some with a peanut base, some with a vegetable one, one was loaded with everything from seafood to lamb and chicken and I wondered how on earth they could be making a profit on these portions. Then again, immigrant patrons do demand more for their dollar. Some fun for the novice soup eater here: it’s eaten with a plate of fufu, which is similar to polenta (but usually eaten with your hands, and yes, you can use silverware) but my lord they give you so much that after looking around to make sure I was not alone, realized I was expected to be unable to finish it all. Took me a doggy bag home, I did. Now for the other side of working class immigrant dives. The place is tiny. Very few tables. Decor is non existent. In the evening they are packed with mostly men home from work sitting for dinner and watching the news in their language on the tv with the lines. “Nagadeff” and “Bien sur” is all I hear them say. Service is slow because so much attention is put on the takeout line filled with Senegalese women who apparently don’t cook at home and the Americans of every ethnicity, from adult to teenager, who stand quite patiently waiting their turn. Our waitress was called away to help with phone orders and my dinner buddy, knowing I have a sweet tooth, surprised me by ordering an off the menu item, a lightly sweet dessert called Dege. If you like rice pudding you’ll love this. 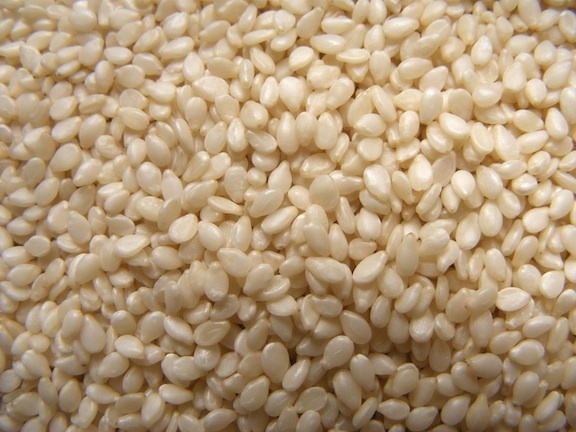 It’s made with something much better for you than rice. Service aside the people are very warm, the customers too. When a group of women who’d come from a concert dressed to the nines walked in and were told there were no tables, a group of gentlemen near the end of their meal told them to take their seats. All this for about $11 an entree. I can live sans the decor.